This mansion was built in 1530 for Simon Gauthiot d’Ancier. In 1980, it was significantly altered when a business took it over. And already in the 18th century, it was divided in half, as you can see when you look at the escutcheon (the heraldry was struck off), now on the left of the facade, which was originally in the axis of symmetry. 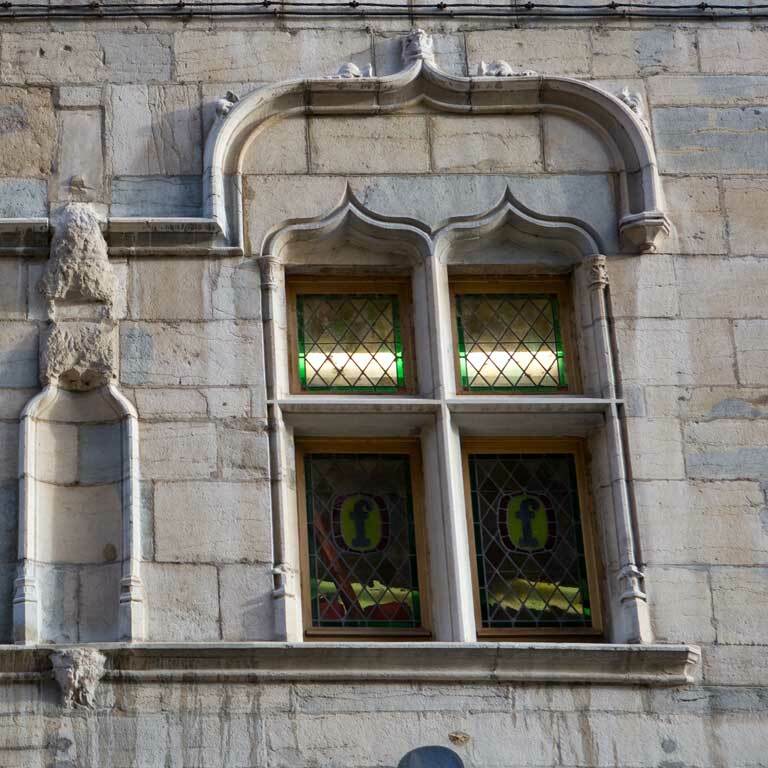 This mansion, built shortly before Granvelle Palace, which brought the Renaissance style to Besançon, was solidly Gothic, as you can see by its first floor windows with their ogee arches, accentuated by small ornamental sculptures. At the end of the 16th century, Jean, the son of Simon Gauthiot, came to live here. 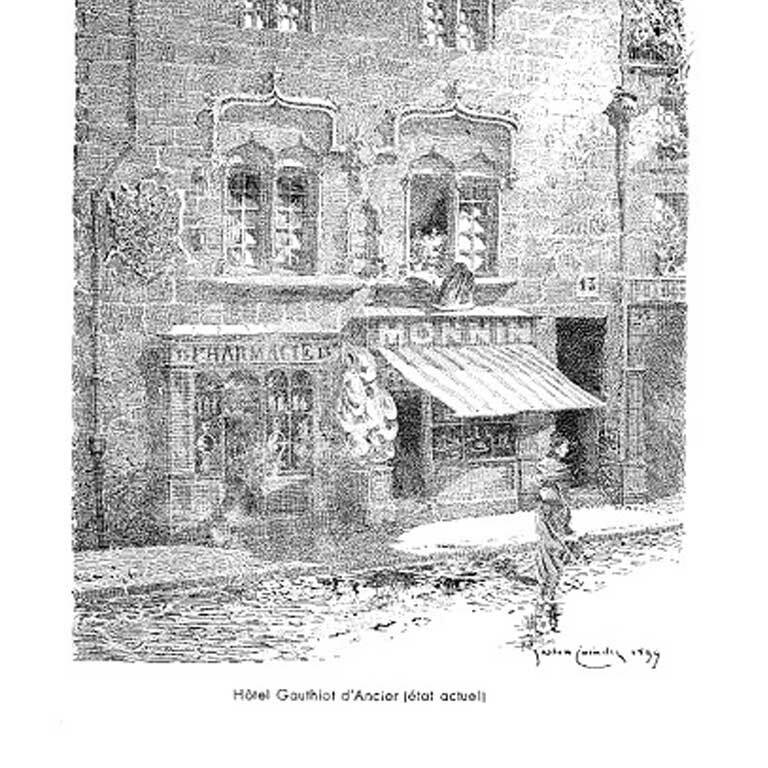 He was co-governor of the city, and it was he who chose the Dijon architect, Hugues Sambin, to build the town hall, which is now the Courthouse. 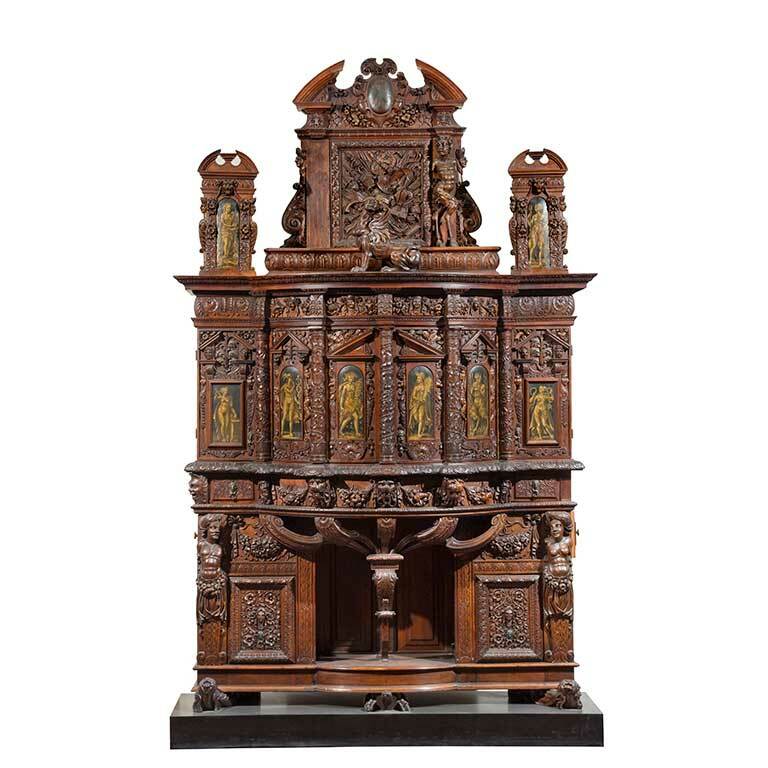 Hugues Sambin was both an architect and a carpenter; he furnished the Gauthiot d’Ancier mansion, implementing his taste for excessive decoration. 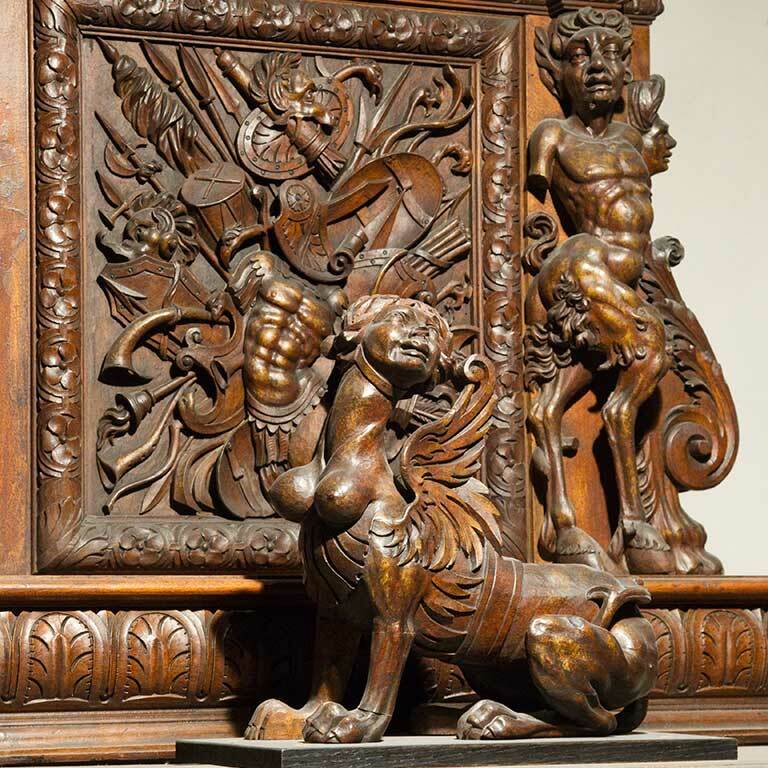 The furniture was decorated with invasive sculptures that had columns, pediments, and statues from the waist up often crowned with fruit, all in a hotchpotch of plant motifs. 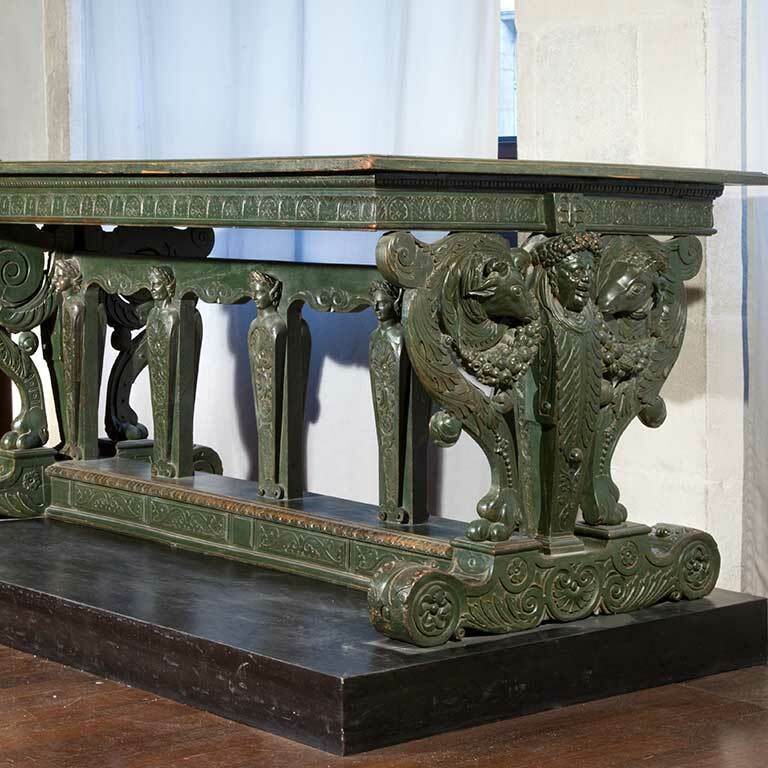 In the 17th century, everything was given to the Jesuits of Besançon, and in the late 18th century, it was scattered far and wide, except for a buffet and table pre-empted by the city. Both these pieces are now in the Museum of Time.